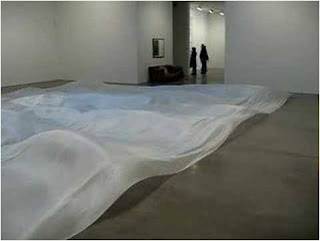 I was really moved by was "Untitled" (Perfect Lovers). It was such a simple thing, but it really packed powerful meaning into it. I also found his work of portraits of people with candy that was meant to slowly be taken by those who came to the exhibition. I love that the work is not even truly actualized until people have interacted with it. This is an important part of Installation art that I really like, that the public needs to become a part of the art in a space. I liked this artist for how intelligent and interesting his ideas were. His work usually focusing on people's perceptions. worked with creating nature-like elements in a space, transforming the space. 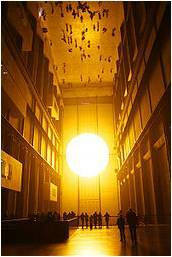 My favorite of the projects that we looked at by Eliasson was "The Weather Project". This project was at the Tate Modern in London and consisted of a hemisphere of lights with mirrors covering the ceiling and a mist. It just looks like it would be such a fantastic space to experience. 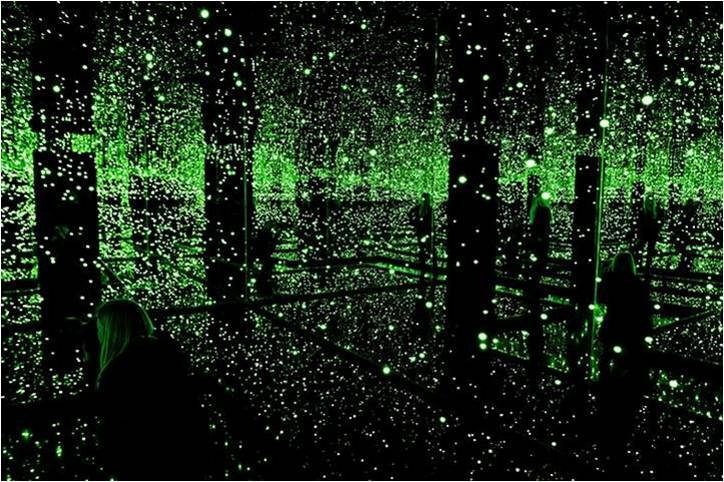 I am totally in love with Kusama's work. Not only is she a crazy awesome person, but she's also a fantastic artist and designer. Her work generally focuses on polka dots, which stems from a childhood hallucination of flowers multiplying from the tablecloth to the entire room. 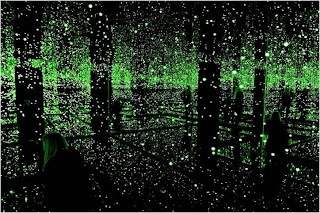 One of the coolest works that she did was an entire room filled with glowing dots and mirrors. I like her work for how visually interesting they are. I totally am in love with this artist! (Thanks Prof. Skees!) Not only does she work with sewing and thread, writing and words. I love the way that she explains her work and I felt really connected to what she was saying and the concepts she was working with. 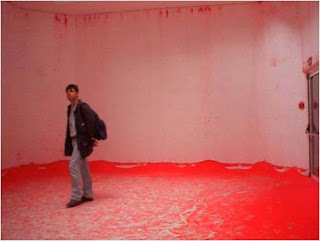 She talks about installation art being an animation of a space that people can experience when they enter the space. My favorite work that she did was something that involves Braille (which is super awesome because I use Braille in my own work) and is shown best in this video. The work of Tim Hawkinson is most often including large installation in a space that involves music. 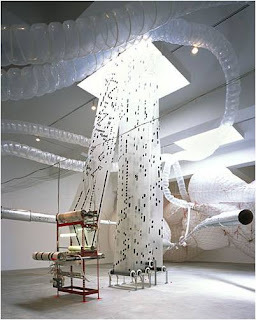 I have seen these works before and always found them really fascinating in sculptural form and function. Though I can't really say I understand them much beyond that they're kinda cool. He seems to be very in the moment with most of his works and just kinda makes it up as he goes along. This is a group of architecture professors and students that constructs architecture for a community. I found the architecture itself to be nice. I think what they were doing is admirable to build homes and community projects. Their focus really being on including the community in the process and making poor communities a better place. I know that some people have trouble seeing this group as being artistic. 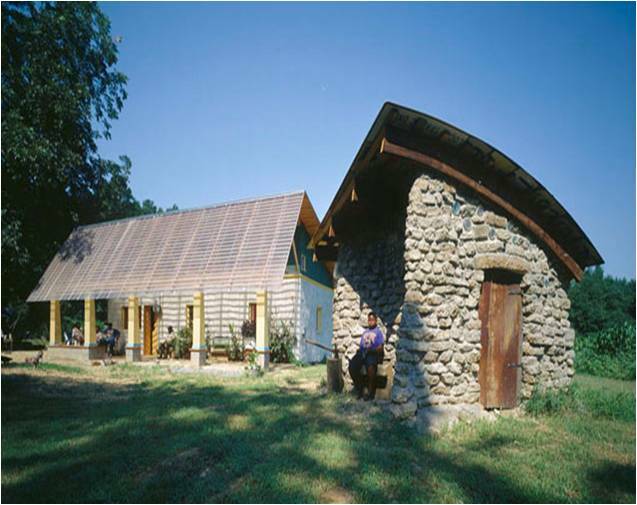 I think that the biggest difference between Rural Studio and organizations like Habitat for Humanity is Rural Studio is about architecture that designed with specific intent for a specific group or family and their needs, not just popping up cookie-cutter houses. 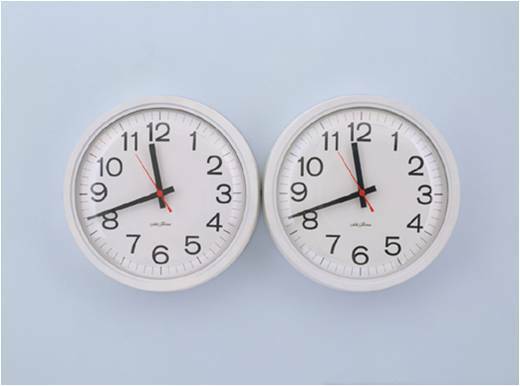 I think that my favorite works by Haacke were from his earlier years that are very minimal and have a lot to do with systems and processes. 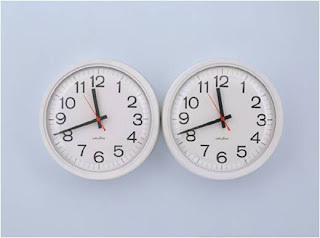 I love works that are simple in itself, but complex in meaning. I like some of his later work as well that are more political, but not as much as the simplicity of his early work.